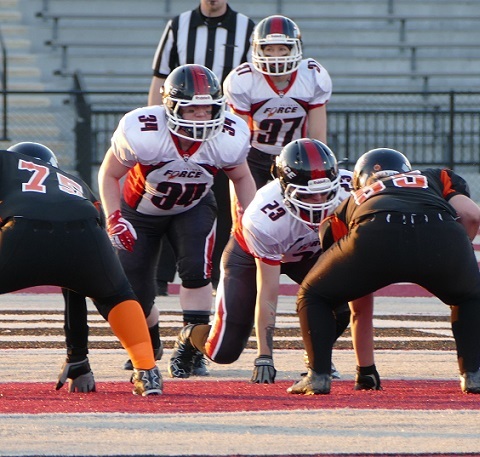 BELLEVILLE IL: The Chicago Force defensive unit continued their impressive play in a 46-6 road win over the St. Louis Slam at Lindenwood University. The defense held St. Louis to 138 yards of total offense, including just 17 yards on the ground. Linebackers Kelsey Casey and Mary Choules were the leading tacklers followed closely by Elisha Okrey and Angel Smith. Norwegian import and second year player Sonja Drangsholt celebrated her return to the U.S. with several tackles, quarterback pressures, and a fumble recovery. Lineman Kim Marks sacked the Slam quarterback on the final play of the game, adding an exclamation point to Chicago’s dominant defensive performance. Meanwhile, the Force offense was playing keep-away from the Slam by running over twice as many plays (89) as the Slam offense (40). There was a corresponding disparity in the time of possession as well with Chicago having the ball for 45 of the 60 minutes of play. Force QB Rasan Gore continues to decimate opposing defenses with her legs as she ran for 255 yards and 5 TD’s. First year running backs Tamika Robinson and Emma Vanderheyden shared the rest of the carries. Both are learning the intricacies of play design and the importance of following their blocks. Robinson is a speedster and rushed for 135 yards and a touchdown. Another positive in the rushing attack was the return of Casey to the offensive backfield. Casey’s primary role is as middle linebacker, but she is a tough ball carrier and will be used in the power offense as needed. She had a handful of carries for several key gains as well as a touchdown on the opening drive. Of concern for Chicago (3-0) is its anemic passing game and abysmal punt return. Chicago clearly misses their #1 target and All-World receiver and kick returner Jeanette Gray. The passing game was previously a strength of the offense, but the Force are experiencing an inordinate amount of dropped passes. 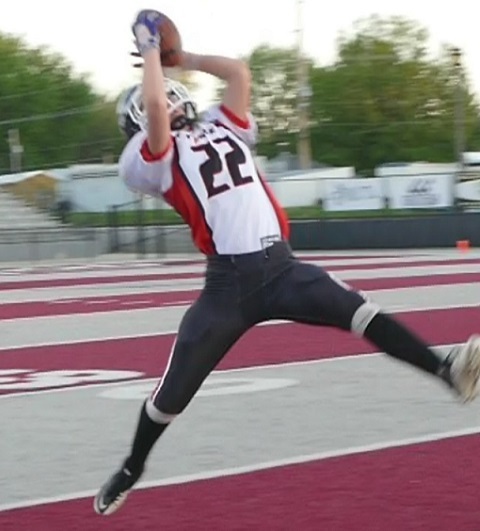 The lone bright spot in the passing game against the Slam was an acrobatic leaping catch by first year receiver Alli Alberts, who will likely get more targets as a result. The punt return issues will be addressed with personnel changes. The long-awaited Force home opener is imminent, with Chicago hosting the Columbus Comets on Saturday April 30th at Lane Tech Stadium in Chicago, kickoff is at 5pm. For tickets and more information please visit chicagoforcefootball.com or call the Force ticket line at 312-371-7813.